Unwanted and intrusive noise is impacting on more and more lives; especially as pressure to build homes on brownfield sites is remorseless. Chris Coxon, Head of Marketing at Eurocell, considers the issue in the context of doors and windows. The issue of noise and how to deal with it in new housing developments is becoming a more complex one. Planning policy and the demand for city centre locations means that brownfield sites which were once considered unattractive are now under development. 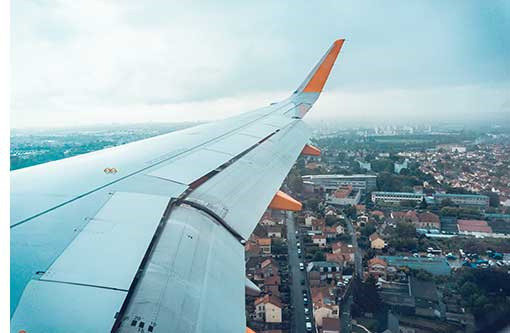 Apartment blocks may be surrounded by a number of different noise sources – roads, railway lines, flight paths – which means that the requirements for noise attenuation becoming more challenging. Furthermore, they may vary from one elevation to another or from one level of the building to another. Acoustic engineers must also take into account the life patterns of those who will inhabit the building. Whereas traditionally, noise attenuation measures might have been applied to living areas but not bedrooms – as traffic noise tends to be far less at night – those who work shifts such as key workers will need quieter bedrooms too. Noise has emerged as a leading environmental nuisance in the WHO European Region, and the public complains about excessive noise more and more often. It is an underestimated threat that can cause a number of physical and mental health problems; and seriously affect the amenity enjoyment of home, the community and our open spaces. In January 2015, the Government published the findings of the National Noise Attitude Survey 2012. The most significant sources of noise are somewhat obvious. Road traffic, noisy neighbours, aircraft and airports and noise from building and construction. Unsurprisingly, these four sources have been the main focus for complaint for many years now and, although the proportion of the population encountering these noise sources has not changed greatly, there has been significant increase in those “bothered, annoyed or disturbed” by it. New sources of disturbance include wind farms and solitary turbines. Its headline statistic was that 48% of people feel their “home life is spoilt to some extent by noise”. For instance, during 2015, 5,573 people made noise complaints, totalling over 100,000, to the Heathrow Airport Community Relations team. Over 2,800 people complained once, 448 people complained three times and 17 people complained more than 1,280 times! The WHO guidelines for community noise recommend less than 30 A-weighted decibels (dB(A)) in bedrooms during the night for a sleep of good quality and less than 35 dB(A) in classrooms to allow good teaching and learning conditions. The WHO guidelines for night noise recommend less than 40 dB(A) of annual average (Lnight) outside of bedrooms to prevent adverse health effects from night noise. (Lnight is the equivalent continuous noise level over the night-time period (23:00 to 07:00)). While it is unfortunate that walls or floors effective in screening out airborne and environmental sound may be less so in the face of impact noise, and so require different considerations; mass, when it comes to masonry, is key to achieving attenuation success. Obviously, Approved Document E of the Building Regulations 2010 devotes significant attention to testing, and construction detailing of various wall types. However, and as it implicitly acknowledges, completely sealing the structure is impossible – especially where one needs to punch through it with doors and windows, so creating a vulnerability to sound in the envelope. And here the Regulations are less helpful, barely considering the issue at all. Approved Document N, dedicated to glazing, is similarly silent, concerning itself only with safety; while AD L – the Building Regulation most cited in the context of doors and windows, troubles itself only with energy – and not sound – efficiency. For guidance then, we must look elsewhere: such as in BS EN 12758, Glass in Building – Glazing and Airborne Sound Insulation and BS 8233 2014 Sound Insulation and Noise Reduction. The latter is a comprehensive document deeply complex in calculation and detail, and is not to be approached lightly or by the generalist; while BS EN 12758 gives values for the sound insulation of windows. The first thing to consider in respect of doors and windows is fit and quality – an area where modern PVC-U items may be thought to have considerable advantages. First, not only are multi-chambered PVC frame profiles inherently sound attenuating, that they are also warp-free is important as any kind of distortion in the frame can seriously reduce the effectiveness of the seal. The reveals of windows should also be well sealed to prevent sound getting into the wall cavity. At a junction with a separating wall, it is desirable to close the external cavity with a flexible closer, such as Rockwool. If the cavity is likely to be filled for purposes of thermal efficiency, then the closer is unnecessary. Some window specifications see the addition of an EDPM strip, fitted to the exterior of the window frame and lapping onto the cladding of the building. Designed to improve weather-tightness, these also provide increased noise attenuation. It may be also important to consider other aspects of the glazing system. Trickle vents, for instance, are a pathway for noise; acoustic-rated vents are available, although these are a costly addition. In respect of doors, the mass – as alluded to above in the context of masonry – is important as is, like windows, fit. It is essential that the door forms an airtight seal against its frame when closed, and joints between wall and frame properly stopped. Thresholds are necessary and even escutcheons for keyholes should be considered in the most extreme circumstances. Surprisingly perhaps, a double-glazed unit (DGU) does not necessarily perform significantly “better than a single pane of mass equivalent to the thicker pane of the sealed unit, and should be used in a frame with good seals to realize its full insulating potential” (BS 8233). As the thickness and mass of a pane of glass increase, so does its sound insulation qualities, yet not exponentially and there are obviously practical limits to this. Laminated glass performance, when formulated with resins that have enhanced sound attenuating properties, is better than single pane – ‘monolithic’ – glasses yet are often most encountered in safety and security applications. Interestingly, gas filling of insulated double glazing units has no effect on sound insulation and, in some types of gases, may be detrimental in the face of low-resonance noise such as that emanating from traffic and trains. Again, the width of a cavity in a DGU has little effect except in triple-glazed applications; yet much of that improvement may be attributed to the additional mass of the third glass pane. Despite this, a cleverly designed DGU – combined with engineered profiled frame materials, and part of a window properly fitted and sealed – can achieve a decent degree of sound insulation, and in excess of that provided by more traditional alternatives. Such a design would necessarily involve a laminated pane, and varying thicknesses of pane. One should be mindful that different pane thicknesses are associated with different resonances of sound; so should be specified in the context of a noise risk assessment – i.e. what type of sound are you most trying to screen out. One curious effect is that height has little effect in reducing noise intrusion. This is simply because the higher the building, the more sources of noise it is exposed to and, in high rise or dense urban environments, the reflectivity of hard facades will bounce sound vertically. Whatever, the solution – and it is time the Building Regulations considered sound insulation in the context of DGUs, frame materials and airtightness – with increasing urbanisation, we will have more noise. Not only more noise, but louder, more intrusive and more upsetting. It will continue to grow in scale and severity because of traffic growth, population growth and the use of more mobile and powerful technologies: phones and other audio, instance.